The second Weaver fruit but this time a pear. 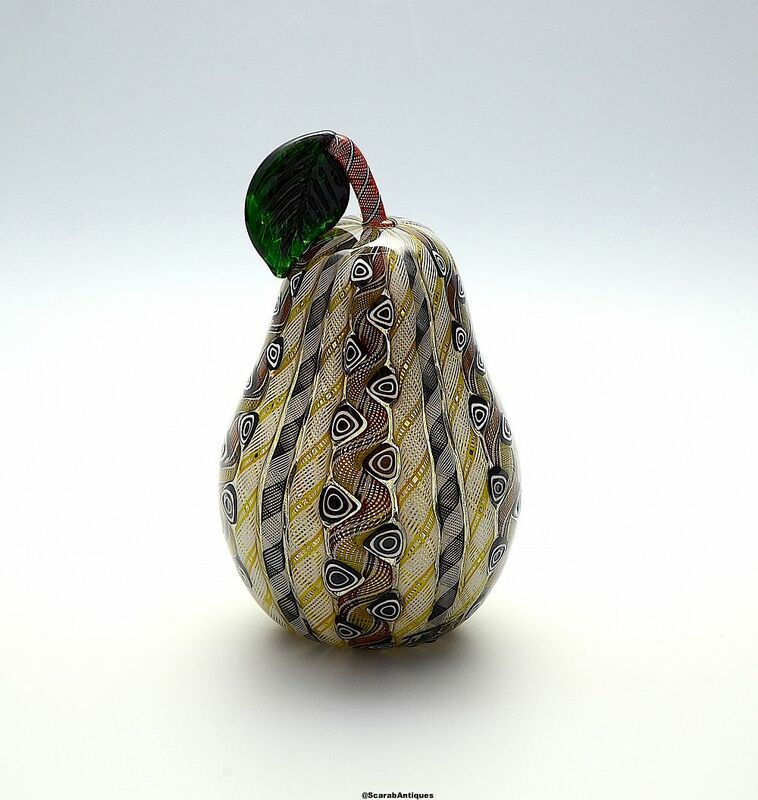 Made by Michael Hunter for Twists Glass in 2018 it is hollow blown and has 20 zanfirico canes encased in clear glass being 5 black & white, 10 white & yellow and 5 red black yellow & white arranged around the pear. the redbrick yellow & white canes have been curved so that black & white triangular murrine canes can be set into each curve. The stem is a red black & white zanfirico cane with a green textured glass leaf. The base is scratch signed "M Hunter Twists 18" and has the Twists Glass studio label.